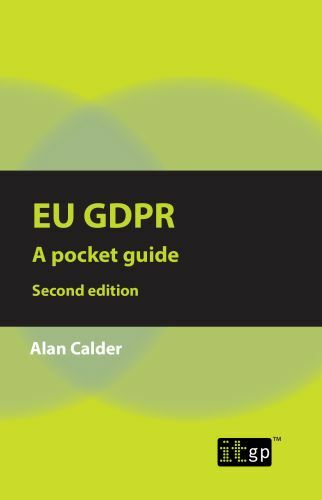 EU GDPR – A Pocket Guide, second edition provides an accessible overview of the changes you need to make in your organisation to comply with the new law. The EU General Data Protection Regulation unifies data protection across the EU. It applies to every organisation in the world that does business with EU residents. The Regulation introduces a number of key changes for organisations – and the change from DPA compliance to GDPR compliance is a complex one. Updated to take into account the latest guidance from WP29 and ICO. Improved guidance around related laws such as the NIS Directive and the future ePrivacy Regulation. A brief history of data protection and national data protection laws in the EU (such as the UK DPA, German BDSG and French LIL). The terms and definitions used in the GDPR, including explanations. This guide is the ideal resource for anyone wanting a clear, concise primer on the EU GDPR. Buy your copy today.